South Korea played Peru to a scoreless draw in their friendly soccer match on Wednesday. At Suwon World Cup Stadium, about 45 kilometers south of Seoul, the South Koreans controlled most of the match but had nothing to show for their efforts. Peru entered the contest ranked 22nd in the FIFA rankings, while South Korea was at 56th. South Korea built its 20-man squad with young players from domestic and Japanese leagues, with European seasons either underway or about to kick off for more experienced South Koreans. In comparison, Peru’s 20-man roster included eight players based in Europe and four others in Brazil. 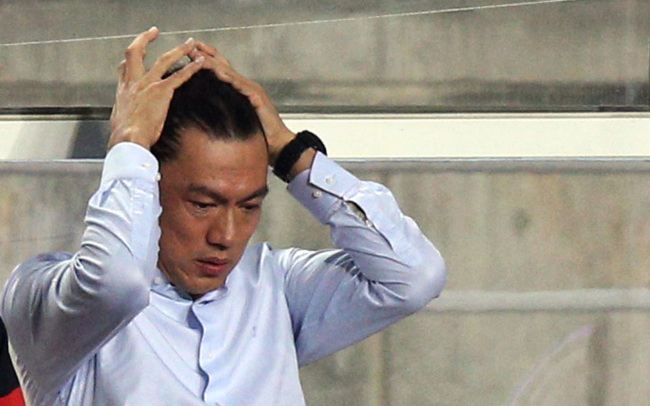 South Korean head coach Hong Myung-bo now remains winless after four matches. He took over the senior team bench in June, and South Korea had two draws and a loss at the East Asian Cup tournament last month. This was South Korea’s third scorless tie in four matches under Hong. South Koreans were in full control in the first half. Cho Chan-ho tested Peruvian goalkeeper Raul Fernandez in the opening minute with a mid-range strike, and it was all South Korea for the next 45 minutes. In the 8th minute, winger Lee Keun-ho had his volley kept out by Fernandez. Five minutes later, he had another close call, as his floating shot sailed over Fernandez before defender Alberto Rodriguez headed it out of play. Lee was on the prowl again in the 16th but sent a hard shot from the top of the arc over the bar. Yun Il-lok also wasted a couple of opportunities. He had a low shot saved by Fernandez in the 26th, and sent another shot just wide of the right post in the next minute. In the 43rd minute, Peru finally had its first shot on South Korean goalkeeper Kim Seung-gyu, as Yoshimar Yotun forced the international rookie to make a tough diving save on a looping shot. South Koreans also did yeoman’s work on defense, applying pressure on Peruvian ball carriers and foiling attempts to set up breakway chances. After a quiet stretch to open the second half, South Korea knocked on the Peruvian net in the 57th. Cho Dong-geon threaded a pass to Cho Chan-ho for a shot from the penalty area, but Fernandez charged out of the net for a desperation save. Han Kook-young then pounced on the loose ball with the Peruvian keeper out of position, but the shot sailed over the net. Four minutes later, Lee Keun-ho had an open chance after taking a cross from Cho Dong-geon, but Fernandez got a piece of the shot to keep it a scoreless affair. Peru showed a bit more life in the latter part of the second half. In the 84th, striker Claudio Pizarro nearly put Peru ahead with a hard shot after a botched clearing attempt, but Kim Seung-gyu got his hand on it for his biggest save of the match. In the dying moments, Pizarro put his head on a cross by Paulo Cruzado but the shot bounced wide of the net.